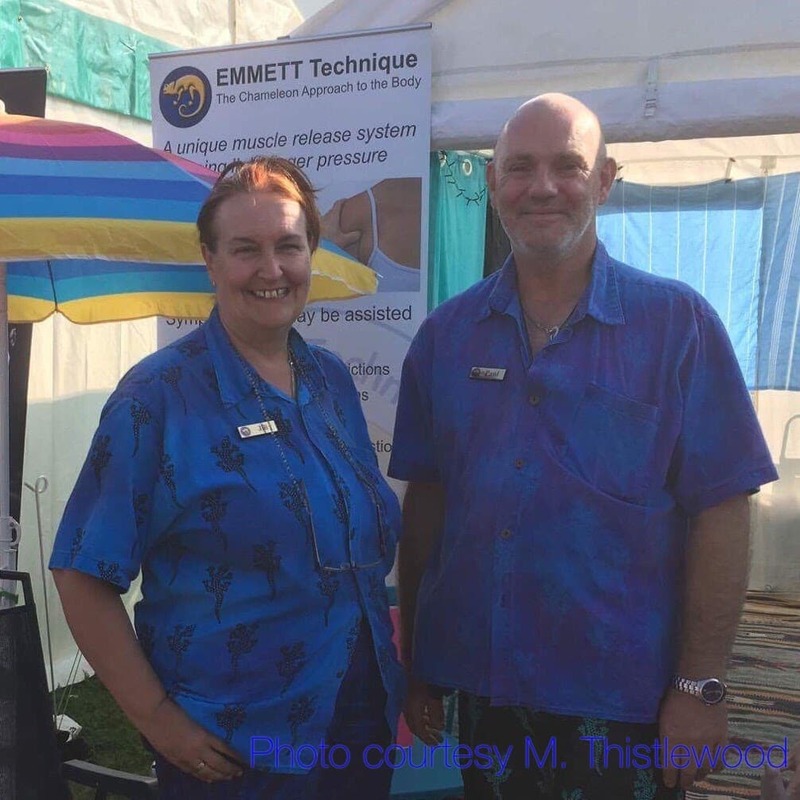 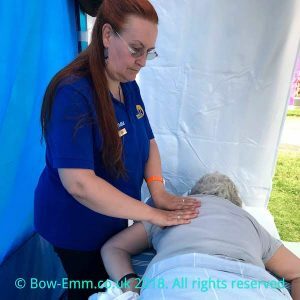 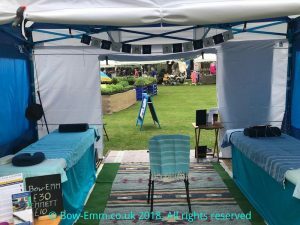 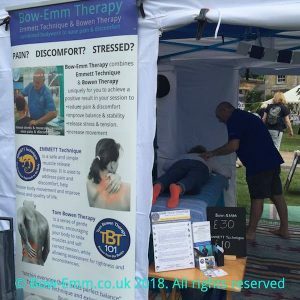 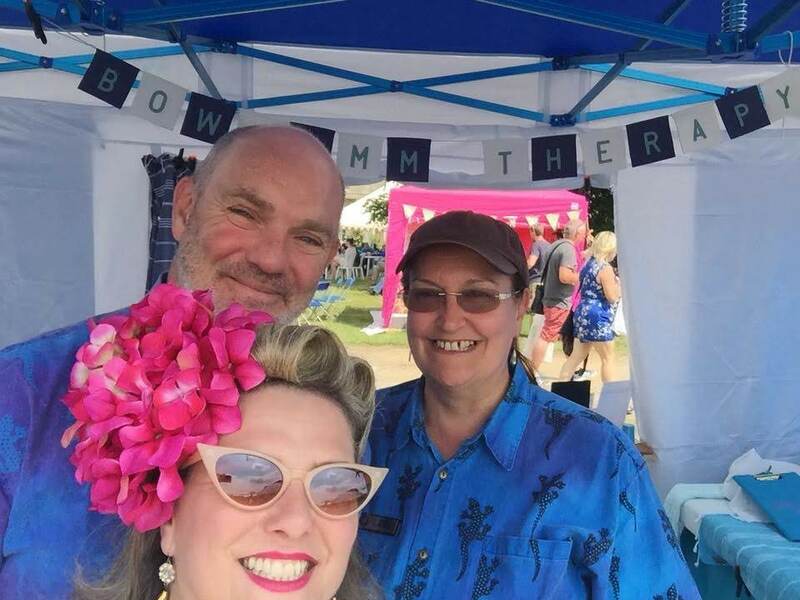 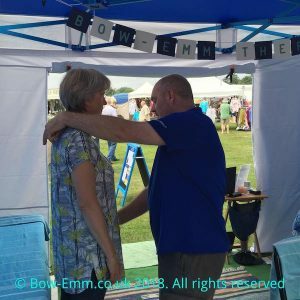 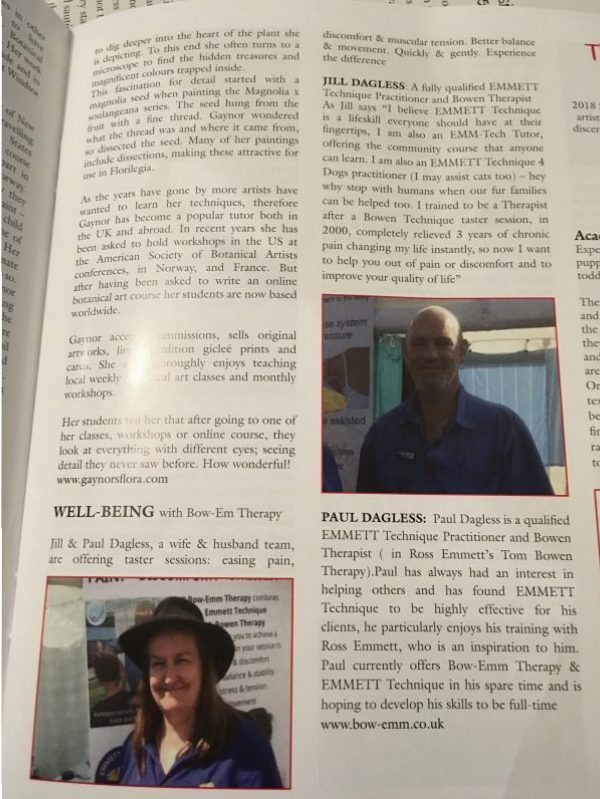 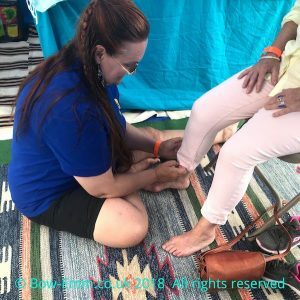 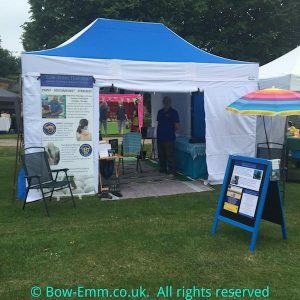 We had a great weekend at The Garden Show, the weather was fabulous and we were busy each day sharing EMMETT Technique and Bow-EMM therapy sessions, with new people, other traders as well as some of our ‘regulars’ from previous events. 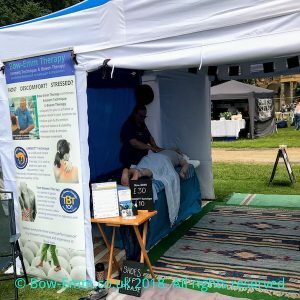 Thank you all, we had some lovely feedback that we can share (see below), the one that touched me most was the lovely lady who was delighted she would be able to brush her hair again, after working with her on a restricted shoulder. 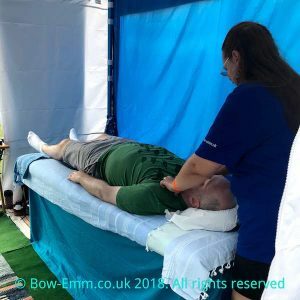 It’s always an honour to be able to make a difference and help folk be more comfortable. 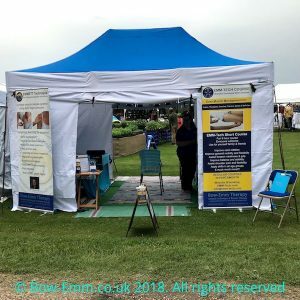 To the best of our knowledge we asked client in photos permission, if you want a photo removed please contact us directly.